Surface pattern design has enjoyed a revival in recent years, with a new wave of designers fuelling the growing trend for decorated objects, illustrated goods and aspirational homewares. Led by practicing surface pattern designer and textile printer Ailsa Wilson, this introductory course will lead you through an exploration of pattern, print and design, with hands-on textile design and printing skills, which can then be applied to a variety of fabric and paper surfaces. Through the observation of trends, understanding the impact of scale and experimenting with colour and shapes, you will learn how to develop different types of repeat patterns. Recently commissioned by the RNLI to redesign their best-selling Kitchen Range which launched in Spring 2016, Ailsa has a passion for traditional printing methods applied in a bold, contemporary, and graphic style. Her surface pattern designs are collected worldwide. Take pleasure in bringing your designs spring to life through the exploration of hand-printing techniques such as lino block, silk screen printing and relief printing. Ailsa will guide you as you plan, design and print by hand repeat patterns or placement designs. You will be able to work to complete fabric for a final project for finishing at home e.g. cushion covers, table linen, lampshades, scarves, etc or design and print onto ready-made items e.g. tote bags, tea towels, t-shirts. 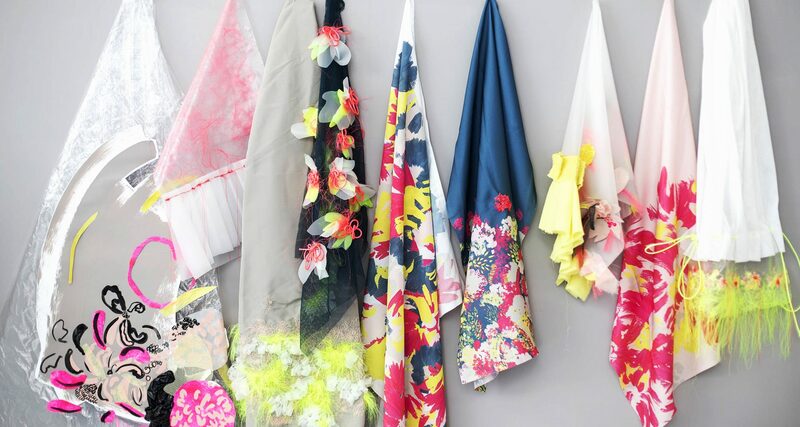 Or if preferred, simply practice your print skills creating a selection of your own fabric samples. The course is aimed at students who have little or no previous experience, or may have some experience and wish to consolidate their understanding with lots of practical hands-on experience. All additional course materials are included in the course fee.